In Virginia Beach, Smile by Design provides general dentistry and preventive services for families to keep them protected from common issues such as tooth decay, cavities, and gum disease. Dr. Santos, Dr. Folck, and our dentistry team offer comfortable, comprehensive dental care to patients of all ages—from 2 to 92! With the services listed below, we’ll ensure that you and the rest of your loved ones enjoy healthy, beautiful, and problem-free smiles year after year. Brush your teeth twice a day with fluoridated toothpaste. Clean between your teeth with dental floss at least once a day. Use a mouth rinse after brushing. The hygienist can recommend an appropriate one based on your individual needs. If you have bad breath, you might be able to alleviate it by cleaning your tongue. Twice a year checkups and cleanings help our team accomplish two very important goals. 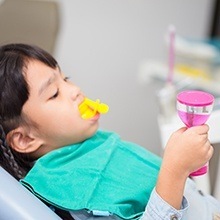 One, they give us the opportunity to catch and treat small dental issues during their earliest stages, and two, they can often prevent the development of issues in the first place. These services can drastically lower a patient’s need for more involved and extensive treatments as well, helping them save thousands over time. To learn more about how these services can protect you and your family’s smiles, click on the link below. 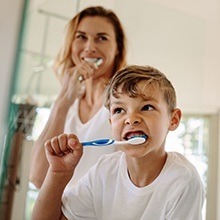 Regular exposure to fluoride has been shown to strengthen the teeth and help prevent tooth decay and cavities, which is why you’ll so often see it added to toothpaste and public water sources. To give our patients even more cavity protection between appointments, we can apply a highly concentrated fluoride solution to their teeth during routine checkups. The treatment is fast, painless, and one of the simplest ways to keep a smile healthy year after year. 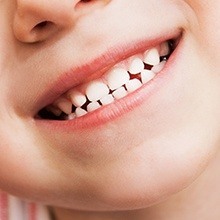 It’s common knowledge that children come with their own unique set of needs, and the same is true for their dental care. 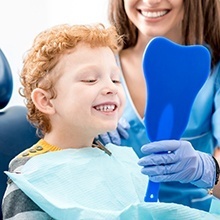 Our team is skilled and practiced at providing the services and information children need to create a solid foundation for their dental hygiene. And, our team will do everything we can to make sure your child feels comfortable and relaxed starting at their very first visit. We’ll go out of our way to turn their appointments into a fun and education experience! Red and swollen gums or constant bad breath might indicate that you're suffering from periodontal disease, better known as gum disease. This is a common bacterial infection that can develop due to a lack of oral hygiene, and it can easily lead to tooth loss if left untreated! We can treat your symptoms thoroughly and painlessly with scaling and root planing and other methods at Smile by Design. By keeping a close eye on your gums, we’ll make sure your entire smile, not just your teeth, stays healthy as the years go by.